Over the weekend I read over the latest post on Nokia’s developer blogs by Kate Alhola, principal engineer at Nokia. Remember she showed us the N900 controlled quadrocopter? “Nokia N9 device will be largest volume MeeGo device in near future and most interesting platform for MeeGo application developers”. I don’t know if that’s for Nokia MeeGo device or any MeeGo device (including possibly tablets). The sheer scale of Nokia alone says this MeeGo phone could go far and deserves to given the rapturous response by even doubters and haters of Nokia. This would mean that it would go further than any MeeGo device before it. But then again, no other MeeGo device has got any traction. Kate’s post is of interest in itself. She discusses how apps for MeeGo-Harmattan (developed in Qt) needs a bit of work to distribute to other MeeGo platforms. Alhola says this is due to the proprietary theme on N9 that can’t be redistributed. You would have to use a theme therefore than can be redistributed. Devs will have two options, to develop then just for N9 or use a Nokia blanco theme to distribute to other platforms. Another issue of course is that MeeGo device types will have different UI and even the same device types will have different UX, as with Nokia N9 and swipe. 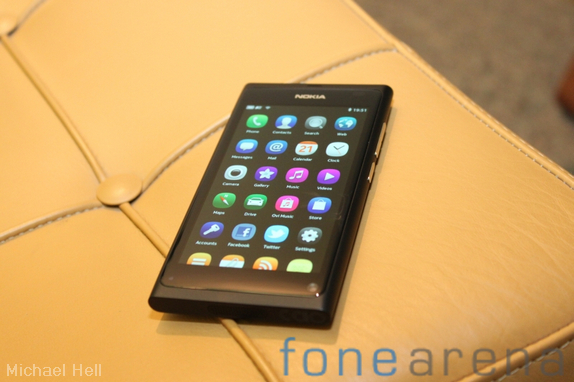 Alhola notes that there will just be small effort to port to standard MeeGo handset or tablet.